To see the latest from Nike Golf, please visit our Nike golf clubs page. The Nike VR-S is the latest line in the brand's Victory Red series. Though the VR-S clubs have some aesthetic similarities to the VR Pros, their technological innovations set them apart from all previous VR models. 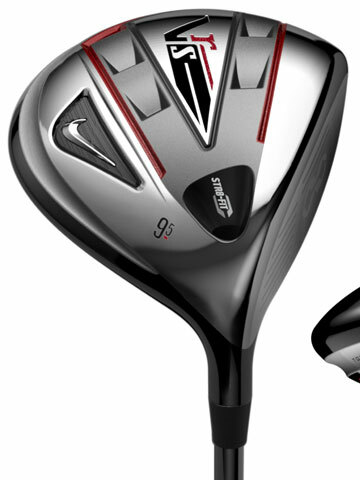 Buy the Nike VR-S STR8-FIT Driver Now! The Nike VR-S STR8-FIT Driver features NexCOR technology, which was originally only featured on the VR Pro Limited Edition Forged drivers. The NexCOR Infinity face on the VR-S driver uses a multi-thickness design with a bridge that makes it ultra-thin and ultra-hot. These work to give you explosive ball speed for incredible distance. The VR-S STR8-FIT also features the STR8-FIT system first introduced by the VR Tour. STR8-FIT lets you adjust the face angle ± 4 degrees. These options let you optimize distance, accuracy, and ball speed. Other great features of the VR-S STR8-FIT include its more aerodynamic head design and lightweight 45.75" Fubuki shaft. 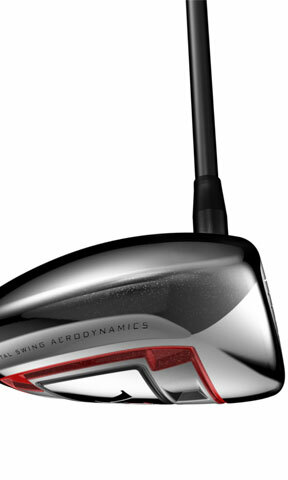 The shaft incorporates Mitsubishi Rayon with Modulus Differential Technology (MDT) and a new Power Ninja Core. This breakthrough metal core enhances energy transfer during the swing while providing a smoother feel. Both the new shaft and clubhead engineering create faster swing speeds for even more distance and power. The VR-S driver's multi-surfaced NexCOR face gives it a more aggressive look than other VR drivers. At the same time, it retains the traditional pear-shaped head and glare-eliminating matte black crown. Buy the Nike VR-S Fairway Wood Now! The Nike VR-S Fairway Wood uses the same variable-thickness NexCOR Infinity technology as the VR-S driver. It also has a Mitsubishi Rayon shaft with an MDT Power Ninja Core. The VR-S's new L-Face technology has a precisely positioned weld on the sole for a more expansive COR zone. This makes it easier to hit and gives you greater accuracy. Buy the Nike VR-S Hybrid Now! The Nike VR-S Hybrid produces farther distances with remarkable ease thanks to the incorporation of NexCore Infinity and L-Face technology. Its new head design is also more compact and more aerodynamic to create fairway wood-caliber speed and launch angles with the precision of an iron. Buy the Nike VR-S Irons Now! 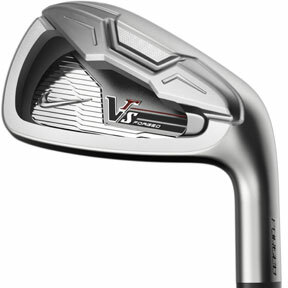 The Nike VR-S Irons have an ultra-strong, ultra-thin stainless steel construction with NexCOR technology in the faces. The multi-faceted face design includes a larger COR zone to make it easier to produce more effective shots. The irons also have Nike's PowerBow technology, which uses an undercut design to position weight away from the face. This results in higher launches and straighter ball flight. 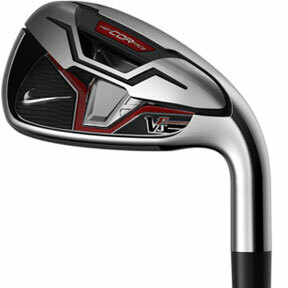 Buy the Nike VR-S Forged Irons Now! With a Japanese precision SAE 8655 steel face construction, the Nike VR-S Forged Irons are Nike's hottest and thinnest forged irons. Like the standard irons, VR-S Forged irons have PowerBow technology, but they also have high-frequency X3X grooves for more consistent spin. The VR-S Forged Irons have more detailed craftsmanship and more finely-tuned design than those of the standard irons. This results in more advanced performance in terms of speed and distance. As you can guess, the "S" in "VR-S" stands for "speed". The combination of technology and design makes it Nike's fastest series ever. The VR-S clubs are a must-have for the player looking to compensate for slower swings. However, the incredible distance resulting from accelerated ball speeds is something that any player can appreciate.